What with the sheer proliferation of new AMG models in 2018, it's easy to forget just how significant the C63 has been - in all its forms - since its launch just over a decade ago. Because let's face it: pre-2007 AMG, charming though it was, didn't exactly have vast scope in terms of product. You chose whether your V8 was small, medium or large, whether your car was saloon, estate or roadster, and held on for dear life. 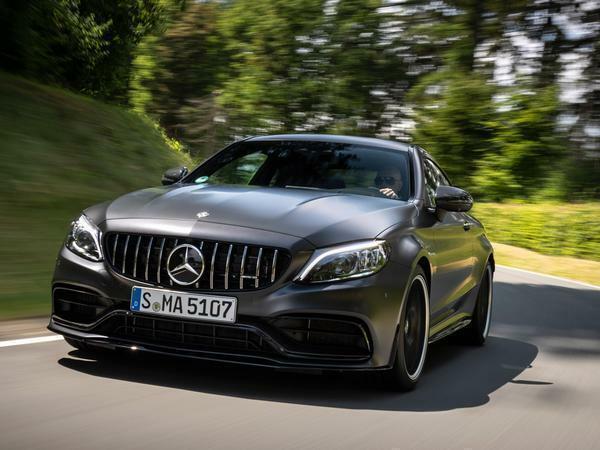 Where the C63 succeeded (and broadened Affalterbach's appeal) was in its irresistible blend of AMG silliness with some genuine dynamic nous - here, finally, was a small AMG saloon that could really take on the BMW M3. A 6.2-litre V8 certainly helped its cause, too. Moreover, its W205 replacement - this car's predecessor - was as important for the brand, if not yet quite as loved by the public at large. It ushered in the current AMG era, that of twin turbos and electronically controlled diffs and copious configurability, very positively. 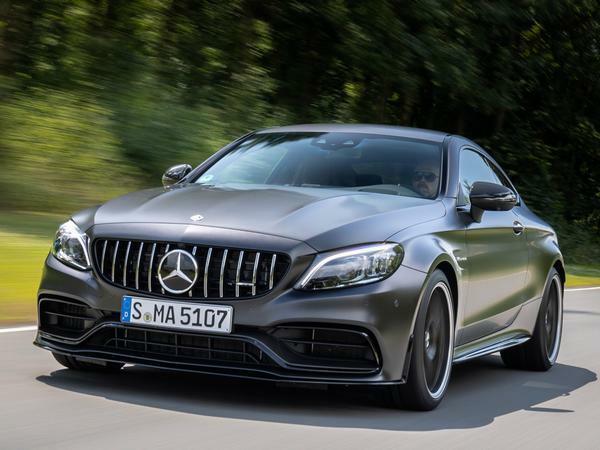 While the AMG GT arrived a few months earlier, it was the C63 that really announced to the world how future AMGs were going to be. Perhaps conscious that a winning recipe was not to be meddled with, AMG's facelift is a reasonably minor one. You can read the original news story here, but it largely amounts to a new gearbox, traction control from the GT R, yet more dynamic configurability and a cosmetic refresh. Whichever way you cut it, this is patently still a C63 - from the outside, the inside and behind the wheel, there is absolutely no mistaking this car for anything other than the 500hp C-Class we all know and love. 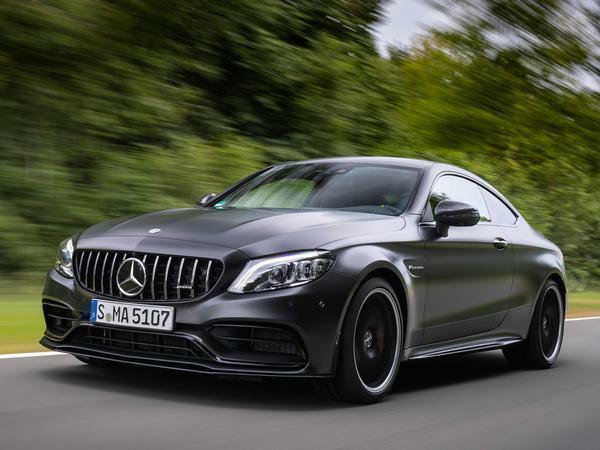 A brief road drive confirms as much in typically rambunctious and charismatic AMG style. 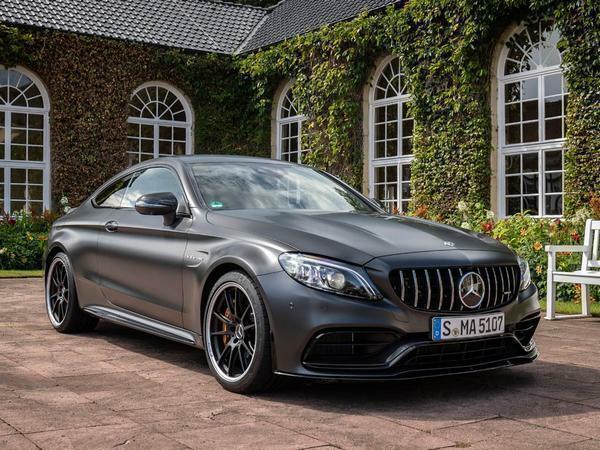 In the graphite grey magno paint you see here, the 'S' Coupe is a brooding, menacing, malevolent presence on the road, 'uberholprestige' assured here by the new grille - it looks handsome, just in quite an intimidating way. Remember Christian Bale in American Psycho? It's that kind of look. Despite being carried over unchanged, the V8 is still the star of the show, aided by a significantly improved gearbox. Where the pre-facelift car sometimes felt like it was great despite the gearbox, this new nine-speed MCT automatic actively complements the package. It will bimble and cruise and mooch like the very best Mercedes autos, yet also deliver incisive shifts up and down. A further positive comes from the ride; while hard to definitively judge in an entirely different environment years later, the response of this C63 on its retuned AMG Ride Control suspension feels more accommodating than before. Still purposeful, yes, and still probably anathema to those who like traditional AMGs, but with a fraction more compliance than before. 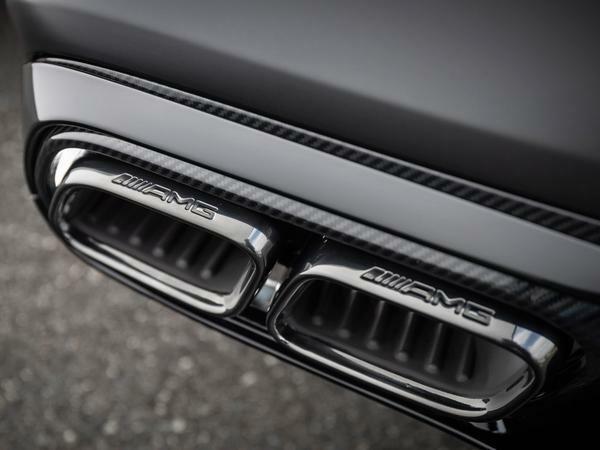 Being the confident types, AMG chose to introduce a Bilster Berg track element to the C63 launch. Like the road cars, all track vehicles were 'S' spec with the optional carbon ceramic brakes. 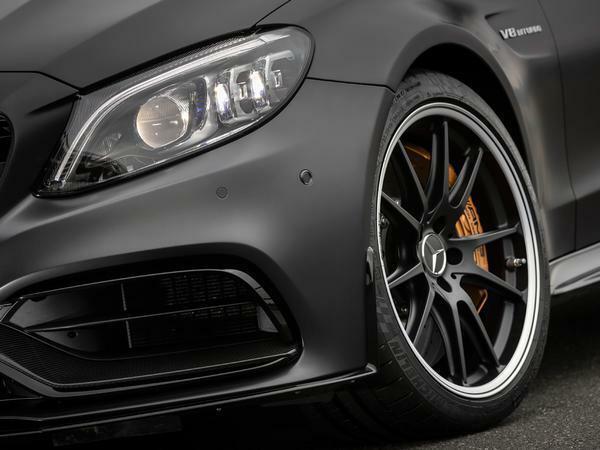 Interestingly the base 476hp C63 now receives the electronically controlled limited-slip diff once the preserve of the 510hp flagship (replacing the mechanical one) and all models get the 'AMG Dynamics' brake-based torque vectoring, though the S is the only one to benefit from the GT R-style traction control. But more on that in a sec. 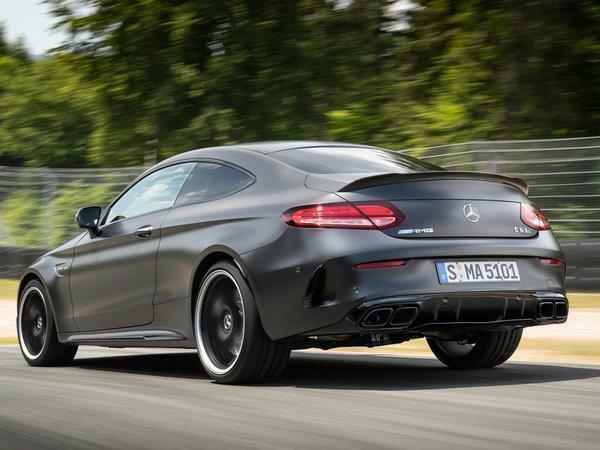 Because, quite frankly, the track C63s could have been fitted with the old AMG 7.3 V12 and it would have gone unnoticed; Bilster Berg just doesn't give you a second's let up, especially when you're new. The gradient changes are savage, the apexes often blind and run off limited. However, such is the inherent friendliness and balance of the C63 that the intimidation subsides fairly swiftly. It's not a car that's brutally punishing of mistakes in a way that an M3 can be, with a more immediately welcoming character than the hyper alert Giulia. And ruddy hell, what an engine. 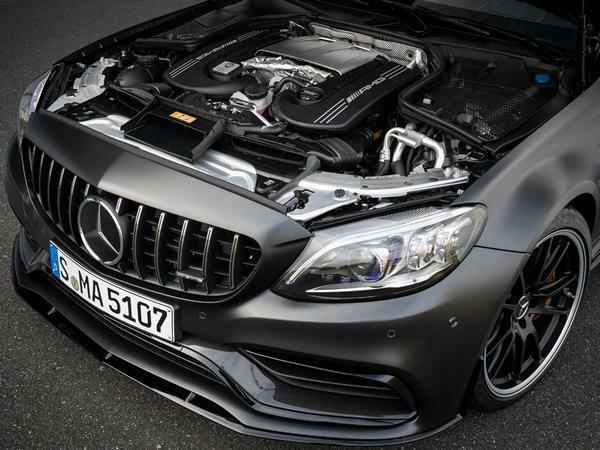 This 4.0-litre 'hot-V' V8 isn't new anymore, and 100hp away now from the most powerful version, but still bestows the C63 with the kind of attitude and excitement that no rival can yet match. Wound up to its more aggressive drive modes (via a Porsche-style selector on the new, very pleasant wheel), the throttle response is beyond reproach for a twin-turbo and the noise sublime: deep, bass heavy and melodic. It's always sounded great, but a week after an M3 CS drive and it sounds even better. This gearbox works on track too, better than you'd probably expect. Upshifts are immediate, downshifts arrive quicker than before and the very fact it's workings are barely noticed says a lot. There's a suggestion a dual-clutcher would probably be sharper still, but this is a very good auto. Second time around (and with some idea of where the track goes), PH was duly encouraged to experiment with the nine-stage traction control. It's regulated by the drive mode dial once you've switched out the stability control, clickable from 1 (full assistance) to 9 (everything off; all the best). 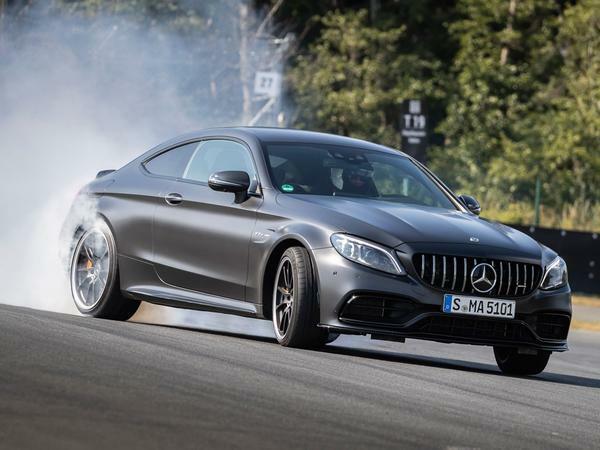 Now while you'd expect a new AMG traction control system, given to a journalist for a track test, to impress, it really does feel like a worthwhile reason to get an S over the standard car. Because the interventions are so finessed, decisive and adjustable, it's a system that really feels like it's helping rather than getting in the way of your fun. As it's only accessible when the ESC is completely off, you drive with more consideration too, mindful that momentum can still catch you out even if 516lb ft has some loose reins. 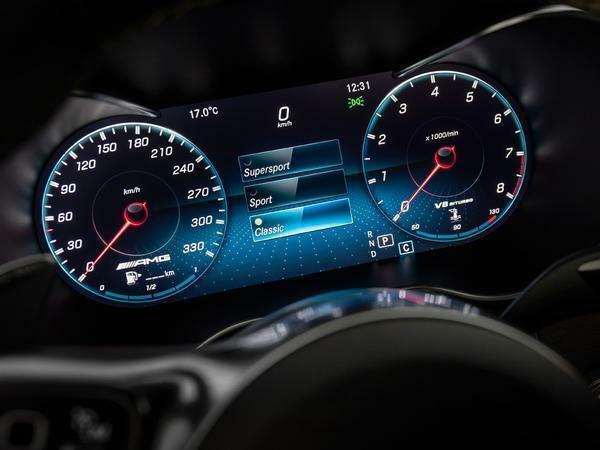 That means the dynamic cohesiveness comes to the fore; the relationship between throttle, steering, driving assists and diff behaviour seemingly spot on for however you want to drive. 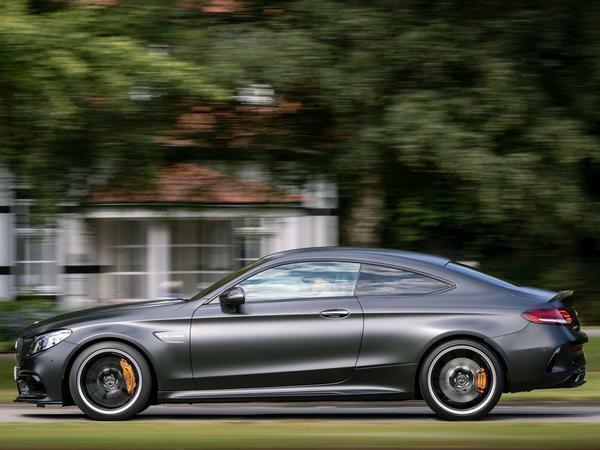 The AMG Dynamics tech is probably doing something here, designed as it is for "optimal agility", but it would be a lie to suggest its presence could be tangibly detected. 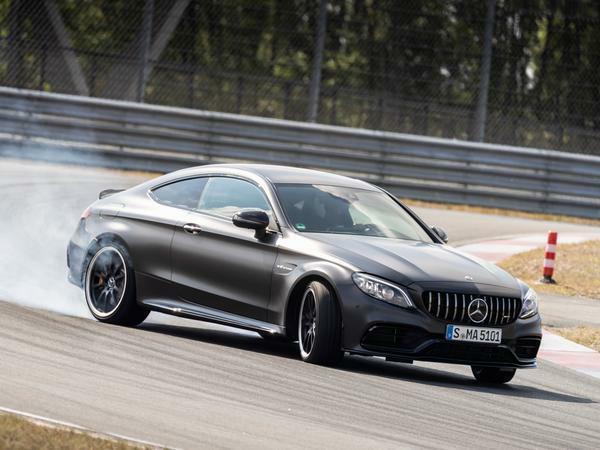 Even though the C63 may not be a truly natural track car - an 1,800kg kerbweight sees to that - it ought to be entertaining and engaging enough for damn near everyone. Is an M3 more adept still? Most likely. 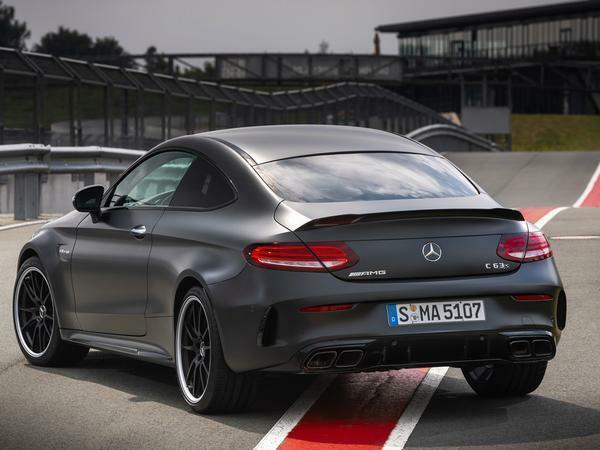 Does that matter when the C63 is as good as it is on the road? Probably not. 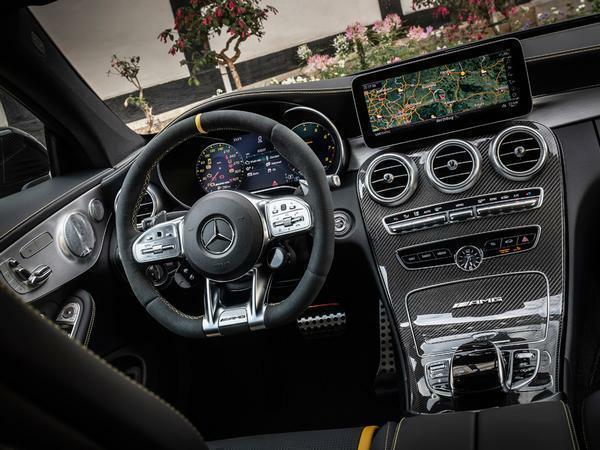 Out among the hedgerows, in both saloon and estate, the C63's sense of all-encompassing talent is made to feel complete. The wagon is ever so slightly blunter to driver, but to a negligible degree, a point it of course it counters with additional practicality. And cool. The saloon might actually be the pick of the bunch, fractionally lighter than the coupe and even keener to play the hooligan. What's not so good? There's very little. 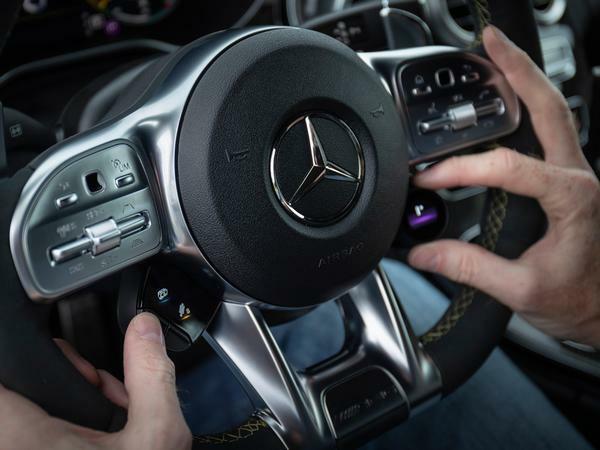 Great though the new steering wheel is to hold, the buttons it's festooned with are initially a little bewildering. 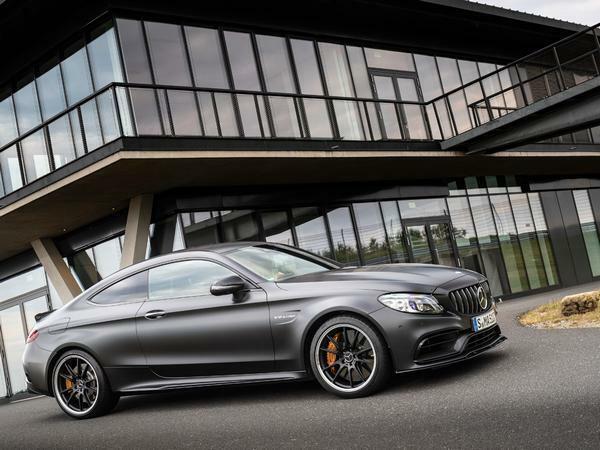 There's also an argument to say that the last thing the C63 actually needed was more configurability - the S now boasts six drive programmes (with the four AMG Dynamics settings incorporated into them) plus the traction control. Experience suggests you often settle on a few, with many hundred more being superfluous. 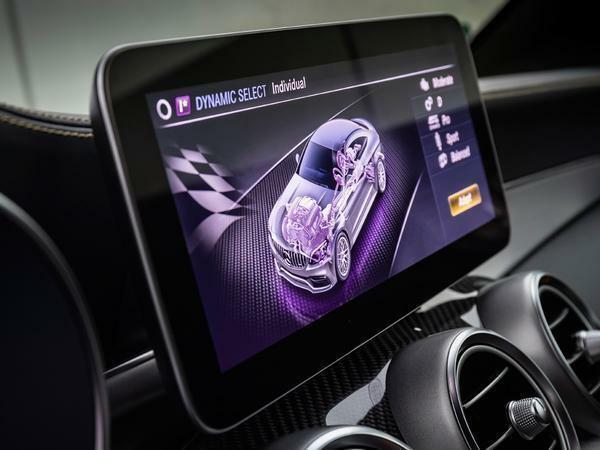 Moreover, while the AMG Track Pace app (standard on the S, optional on the standard car), promises to record over 80 vehicle-specific sets of data 10 times a second, really, what's the point? You can't time on a track day, and this isn't the sort of car to be taken on a closed track event. 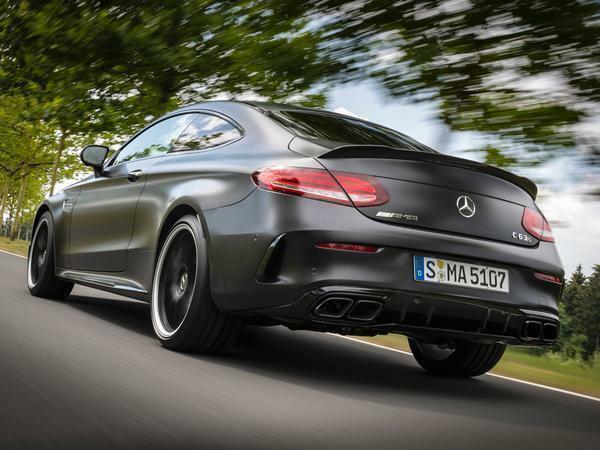 Excessive fripperies aren't enough to detract from the tremendous appeal of C63, though. 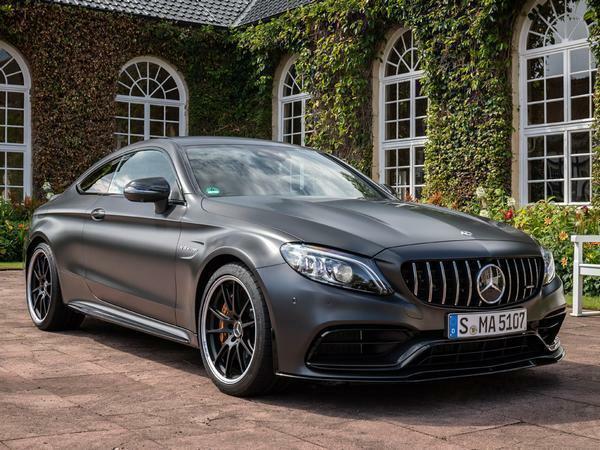 Here's a car that can be as luxurious, refined and restrained as any other Mercedes product, while also playing the archetypal AMG lout (and assured track day tool) as your mood sees fit. It covers every base superbly well, yet by dint of that fabulously likeable powertrain, avoids the aloofness that can characterise some mightily capable cars from Germany (naming no names...). 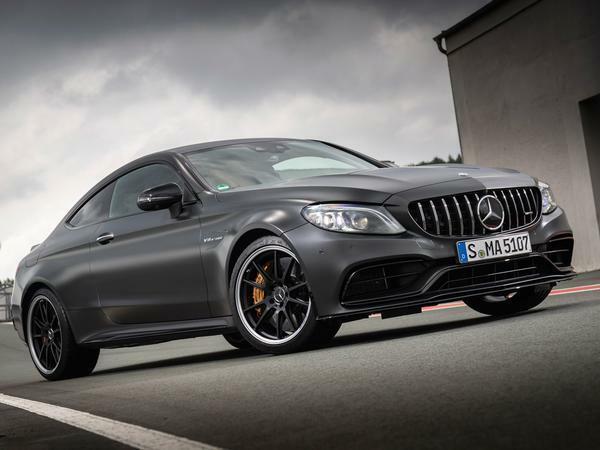 As a result the C63's position as class leader, regardless of bodystyle, seems all but guaranteed. But rest assured we'll be finding out for certain as soon as possible. Will you sort the forum out first, then review some cars. Am I the only person that thinks this series of C Class are, well, ugly? They don't have a pretty angle at all from any side and IMO they look like something Peugeot or Vauxhall could have come up with ten years ago. The forum is all but dead. There's no one actively looking after it since the Haymarket takeover and, TBH, if it were to suddenly die or get hacked I wouldn't be surprised if they just decided to not fix it. They won't spend ANY money on it at all. No - I really don't like them either! Glad you mentioned Vauxhall - I've just realised it's the 1st generation Insignia that the rear of the current C-class reminds me of.